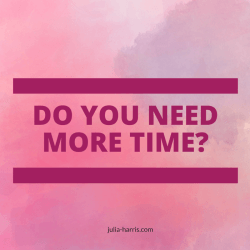 Unfortunately one of the first things I hear when I first start working with a new client is “I need more time”, they tell me about the stress they are under because of everything they need to juggle! They soon find out they are wrong! Unfortunately being in control and having a better life… is nothing to do with productivity apps. And it is definitely NOT anything to do with the number of hours in the day or the age of your children! …and be excited about the direction it is going in. Sure its normal to be tired at times, its normal to feel fed up at times too! However if you are totally exhausted and can’t bear the thought of things staying the same then its time to do something about it! A better life starts when you believe you can love your life so you TAKE ACTION! When I work with clients who need more time I use a 6 step system to show them how to have more time and energy. This leads automatically into having a happier family life. 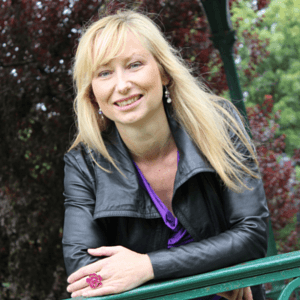 Yes we look at work life balance and how to stop feeling guilty and lots more. But we start with the most important step in the system. This is building the Foundations that are right for YOU and your FAMILY. Builders can’t build a strong and happy home if they don’t get the foundations right first. You can’t be a strong and happy woman juggling everything if you aren’t standing on firm foundations! Each and every one of us is an individual, a unique and fascinating human being. We all have a variety of insecurities, beliefs, experiences, learning preferences and different personalities. Despite this we insist on comparing ourself to others. We see what other women are doing and think we should do the same. Our parenting skills usually come from our own parents but the world is a different place now! We don’t take that into consideration when feeling guilty about working late . Take 5 minutes to think about what you can do differently to make time for the things that REALLY matter. I agree, foundations are so important. As busy people we can often forget the foundations and move forward too quickly, this can actually slow down our progress and lead to that feeling of having no time. I hope lots of busy Mums find your call beneficial in building those firm foundations.